Trying to be objective in writing about our government becomes a little difficult at times. I came close to losing it when I learned that the US Coast Guard was working without pay at a time when Democrats, and their lobbyist friends, were frolicking – most likely at government expense – in Puerto Rico. I’ll tell you right up front that I may be biased in this issue. My daughter is a Coast Guard veteran. I am an Army veteran. It is simply difficult to absorb any rationale for not paying our service members; especially when they are on the line protecting others. The so-called government shutdown may have reached a political impasse. Less than a third of our federal government employees are on furlough. They know, as has always happened after past shutdowns, they will be paid in full when this one ends. So what is it really costing them? Very little in terms of dollars but a bit in terms of inconvenience. Still those with the power to end it all, party on with the very people who donate millions to their campaign coffers. It’s all in the hopes of buying their votes on bills that will benefit them before Congress. These same pols, while claiming to care for their furloughed employees, have no sense of responsibility for them beyond pandering for their votes. An estimated 800,000 federal government employees are on furlough or are working without pay. Those we have elected to represent us cannot reach a compromise on an issue on which a majority of them have voted in favor of in the past. It’s all about power over who is going to run this country. Regardless of who won the latest elections and who holds the majorities in Congress, it’s offset by the veto power of the White House. We’re being fed a constant stream of so-called “news” stories. They’re about how destitute our furloughed government workers are struggling to survive. My best guess is that these stories are originating from the one source that is remaining invisible in this fiasco, the American Federation of Government Employees who was most likely actively partying with the politicians during their Puerto Rican adventures. AFGE is the union that has, by buying the support of members of Congress over the years, managed to raise the pay and benefits of government workers. It’s well above those of people working in the private sector. AFGE’s influence over Congress has been bought in many cases by massive donations the union has made to the campaigns of politicians. AFGE should consider using some of the millions it has raised from its member’s dues to ease them through their postponed periods of pay. Instead, they try and wring tears from us over the condition of their furloughed workers. It’s hard for me to believe that government workers do not have enough set aside. Many of them are making between $40,000 and $100,000 a year. They should have saved enough to tide them over this blip in their paychecks. The media insists they are on the verge of dying from starvation. It’s all fed by the propaganda generated by those who supposedly represent their best interests. You can bet that any of the pols, lobbyists, and union representatives that were partying gaily in Puerto Rico would have called on the Coast Guard for help if their plane had gone down in the ocean flying to and fro. 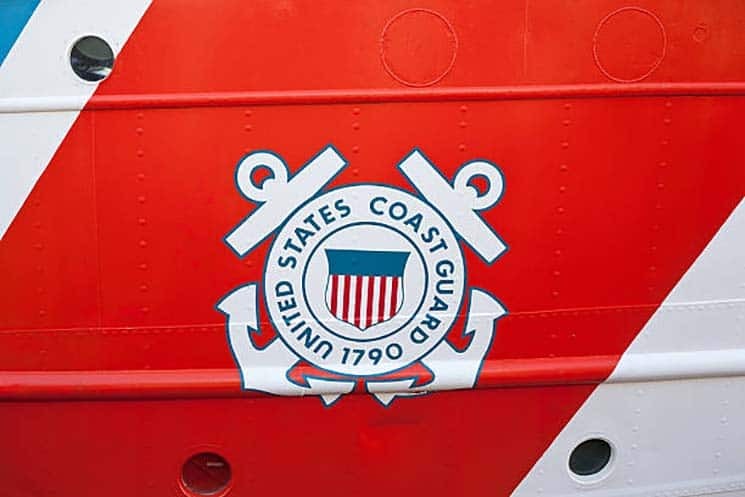 Regardless of whether or not the Coast Guard was getting a paycheck, the Coasties would have responded to the rescue. They will always rise above the issues to save lives. Yet the balderdash continues indefinitely from the seat of our federal government. It’s as if the lives of the Coasties did not matter.